I’ve been terribly remiss in not announcing Venuecom’s completion of the redesign of 8thWonderSpice.com, which is, in my opinion, one of the nicest sites we’ve built recently. (And, also in my opinion, that’s saying something.) I’ll chalk it up to Christmastime busy-ness, and I don’t mean shopping. We’ve been crazy busy lately. At any rate, 8th Wonder started off as a very simple website several years ago. 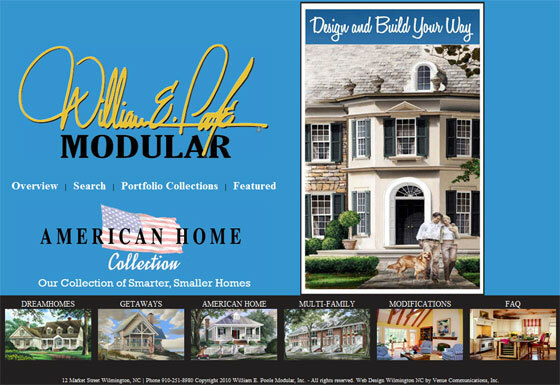 The owner just wanted an online presence, not much more than a holding page, so he got a website with his logo at the top, a patterned background and a few pages. I meant to save a copy of it so I could do another before-and-after video, but I didn’t manage to grab it in time. Anyway, 8th Wonder was ready to start making a big push and needed a more professional design and the ability to sell their product online. We wanted to build on the branding established in the company’s name and the beautiful (seriously, very nice) tins the spice comes packaged in to create an old world feel for the website. 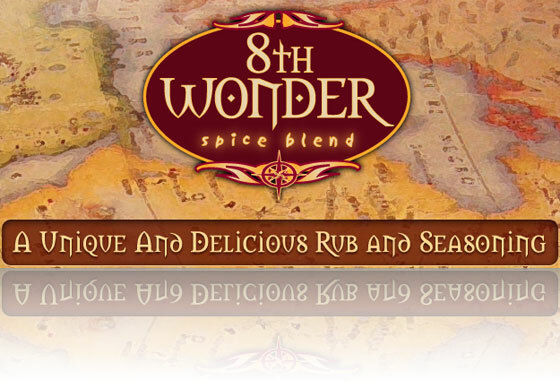 Aside from the upgraded design, the 8th Wonder Spice website features a growing list of recipes with which to use the spice and an also-growing list of retailers where you can purchase the product. If you’re unable to buy find a local retailer, you also have the option of buying the spice or refills (because seriously, the tins are nice and you won’t want to throw them away) online. Check out the site and feel free to leave some feedback in our comments section. The new design for The Fuzzy Peach, Wilmington, North Carolina’s premiere frozen yogurt bar, went live last night. The new resembles the eatery itself with clean, open spaces. The first thing you’ll notice on the homepage is a auto-scrolling 3D slideshow that lets you pause on one image or go back or forward to the next image, all shot by noted photographer Millie Holloman. Social networking is prominent on the new design with prominent Facebook and Twitter icons at the top of each page as well as a Facebook plugin beneath the fold on the homepage. You’ll notice as you go from one page to the next that the pages slide in transition instead of loading separately (with the exception of the store link, which goes off-site). The location page sports an embedded interactive Google map. We’re proud to have created the new Fuzzy Peach website. The local yogurt bar that has been the talk of Wilmington now has a website to match its hype. If you were in Wilmington, NC for the summer of 2010, you probably heard about The Fuzzy Peach, the most talked-about new eatery in town. The Fuzzy Peach was the brainchild of three recent UNCW grads. It’s a simple concept- you get a bowl, fill it up with whatever kind of frozen yogurt you want, load it up with all the crazy toppings your heart desires and pay for it based on how much it weighs. We’ve been a couple times and really enjoyed it. 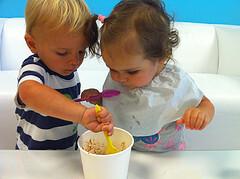 My one-year-old girl (seen here sharing some froyo with a friend) particularly loves it. The first time we went the wife and I were planning on taking some friends of ours from out of town, and before they arrived I wanted to see what the store hours were so I took a minute to look up their website. I was surprised by what I saw. Here was the most talked about new place to go in town, and the site appeared to be thrown together with a .Mac account (seen above). 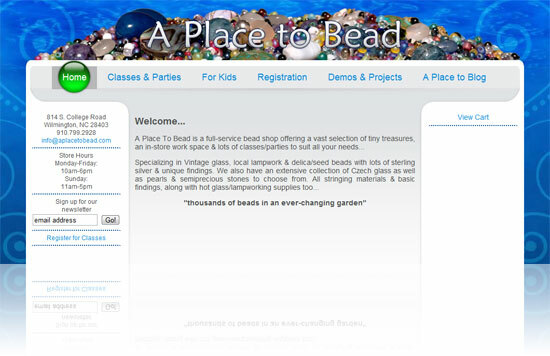 That’s all well and good, but a place with buzz like that needed a buzz-worthy website, so I decided to suggest that to them in an email. I’m not usually one to make cold calls, but I figured there was nothing to lose. A couple weeks went by and I didn’t really think anything of it, but one day I finally got a response. They were interested in talking to us about a redesign, so I had Travis give them a call and, long story short, they had a few meetings and today they gave us a deposit. I’m pleased to announce that Impulse and Venuecom are going to be updating The Fuzzy Peach’s website to give them a site worthy of their buzz!